Recently I have thought and read a lot about the future of (e-)Learning. Yesterday I saw a video of a presentation by Sir Ken Robinson at TED. He states that a lot of people do not use their talents or for that matter even are aware of what their talents might be. For a large part he blames the educational systems, which with his linear setup kills all creativity. He states that this is our second climate crisis, not on natural recourses but on human recourses. He calls for a revolution because evolution is not enough anymore. Not only an interesting but also a very humorous presentation, I can recommend it to you. This week I was reading in the ‘Working smarter fieldbook‘ fundamental change is all over it. We need to do different things and we need to do them in a different way. I agree completely with both of them. But at the same time I can’t help to notice that there is a huge gap between practice and theory, between dream and reality. An example of that was the workshop of the Internet time alliance I visited. I know they hate frontal one way presentations, but because the audience wasn’t really cooperating, that was mostly what it was. Or when I hear the stories of my wife who works at a primary school, for example that they have six very old computers for 50 or so kids from they highest grades. That’s a far cry from what you need for more innovative forms of education. 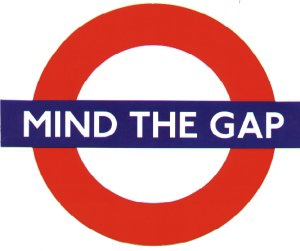 That is the gap I’m worried about. It is important to paint new horizons, but we need a route to get there, and we need to find a way of getting lots of people there. This week I heard two examples of innovations and solutions that are based on solutions derived from the nature, it is called biomimicry. One was a presentation named ‘ Learning from the gecko’s tail‘ by Robbert Full. The other one was a guy talking on the radio (I didn’t get his name) he had examples on how ants solve traffic jams and how termites have a highly efficient airco system in their mounds and how we can use their solutions for to solve our problems. Interesting enough Ken Robinson argues that a more organic way of learning and developing should be adapted in stead of the linear ‘ industrial’ approach. Maybe we can find answers on how to change and how to learn in nature? Should we un-organize the learning and just let it be? Intuitive learning or natural learning sounds nice, but how will it look?